Brands had it way too easy for way too long. If a marketer had the right concept and a well-executed campaign from the Mad Men era of the 1960s until even recently, they could throw it up on one of four media outlets and make a big splash. Consumers might even stop what they were doing and read, watch or listen. How quaint. Fast forward to today. It’s a given that consumers’ media consumption has become fragmented well beyond watching TV, reading the newspaper or listening to the radio. They’re often not even at home, tethered to the desktop anymore. They’re more likely running between appointments, juggling calls, texts and emails – and that’s just stay at home moms (and dads). Today’s consumer is mobile and wired, and getting them to engage with your brand is about reaching them and stopping them where they are – in the real world. On a sunny Tuesday afternoon, or a Saturday night, on the streets and in their hands. Welcome to the emerging frontier of crowdstopping – or put another way –manipulating digital technologies to create immersive, engaging consumer experiences that occur in the real world. Large scale, interactive or show stopping use of digital technology and amazing ideas that create spectacles beyond just the brand. space150 worked on a series of installations in Times Square, the most trafficked and busiest commercial intersection in the world. Here’s what we learned about the things marketers really need to do to move the mob. The idea is simple enough. Design for the way consumers live and interact with the world; this is sometimes very different from what might be considered best practices in advertising. In the new digital world, it’s well and truly time for all marketers to stop clinging to the life raft of the: 30 second TV spot as the thing that keeps an entire ad campaign afloat. It’s time to really embrace and engage the new digital, socially connected and on-the-go consumer in a meaningful and unexpected way. The boom of mobile technology partnered with the rapid advance of social media connectivity has cut the cord to the desktop at long last. What that means is consumers who want a digital experience or who need access to the web aren’t stuck in doors anymore. They’re on the move, on the street and out in the real world again. And just as mobile technology development has freed consumers, so too have advances in digital signage technologies created massive, exciting new opportunities for brand marketers to reach them on the go. Billboards can deliver real time, interactive and unexpected content and concepts that done right, can literally, stop the crowd in its tracks. 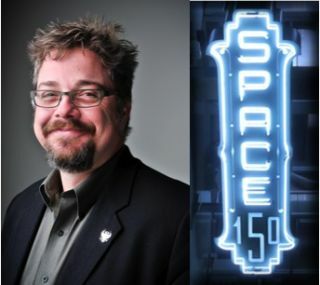 At space150, we’re lucky – we’ve been digital since day one. So we haven’t had to go through what a lot of other traditional agencies are figuring out: how to transition traditional agency models and disciplines into an effective solution for the digital landscape in which everyone now must play. One thing’s certain – the successful agency model today has to be all about absolute seamless integration of digital into everything that firm does. But it needs to go further than that. You can’t outsource innovation. You can’t dream up a creative digital concept and then send it down the street to a coding shop to have it built. That just doesn’t work anymore. Some agencies still try it, but that is not where crowdstopping concepts come from. Instead, have developers sit in on brainstorms with the creative team to help push ideas and ensure that creatives really understand the rules, guidelines and new opportunities presented by building digital content the right way. Do this and an agency can really design a technologically sound and advanced concept that engages the crowd in unseen ways. Ten years ago digital was all about building websites and banner ads; maybe a billboard that changed sponsors after 30 seconds. Today, we’re on the brink of “the new digital” – a true symbiotic world of socially connected, digitally-savvy consumers plus digital hardware and media delivery systems that can almost meet consumer demand for ever-increasing wow-me content. You see it in Times Square where we built a digital billboard for Forever 21 that allows on-screen models to interact in real-time with crowds on the streets, a concept that has become street entertainment for tourists, instead of brand advertising. And you see it in other mediums. Just look at how TV is changing. Experts have been saying TV is dead for years but now new connected TV is changing the medium’s future in an entirely new way. Your TV won’t automatically start on the channel you watched late last night and channel surfing will soon be a thing of the past. Instead the new connected TV offers a portal to all kinds of broadcast, online and social content at the same time, as well as the ability to see friends’ preferences and share content and comments. That’s a massive shift to new digital technology and behaviors and it’s picking up pace. Experts say that by 2015, there will be 1.5 billion connected TV’s in the world, in fact there will be more connected devices than people. Do any of these three things well – design for real behavior patterns, integrate digital and embrace new technology concepts – and it’s possible to be incredibly successful in the new advertising landscape, But combine all three, and you’re a lot closer to ground breaking concepts and content that will actually get people to look up from those mobile devices in wonder. Marcus Fischer is CEO, space150, the digital agency with offices in Minneapolis, New York and Angeles. He can be reached at marcus.fischer@space150.com.